We have noticed a welcome recent trend in thinking about church life. It is a movement away from a fixation on processes and programs, traditions and techniques, mechanistic deliberations about an organisation. It is towards considering the culture of the church and understanding it as a social and familial system. It is towards recognising (perish the thought) that God the Holy Spirit is actually thoroughly and presently involved; church leadership is more a matter of sharing spiritual discernment than reliance upon managerial expertise. 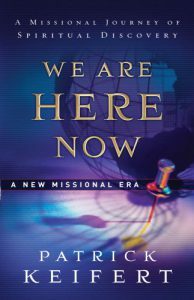 Two books I have recently read—Patrick Keifert’s We Are Here Now, and the Grove Booklet Forming a Missional Church which Keifert has co-authored with Nigel Rooms—do well to advance this trend and make it accessible to local congregations. The two overlap in content and I will concentrate on the Grove booklet here. Firstly, they engage with postmodernity. Cultural connection within a postmodern world necessarily requires pushback against such modern influences as individualism, propositionalism, and didacticism. It means advancing modes and manners of being church that value real and shared experience. This basis for their approach is not novel: the juxtaposition of church and the postmodern world has been around for at least two decades. Keifert is right not to be morose about the changing world. Rather than phrases like “post-Christendom” he prefers a “new missional era.” This obvious and positive sense only adds to my bemusement that such cultural thinking has been largely left behind in academia by church leaders in the field. Secondly, they bring insights from systems theory. Keifert and Rooms recognise that churches like all “living, feeling, learning human organizations… are not simply machines to be fixed or problems that respond to technical solutions” (page 5, emphasis mine). Our tendency for off-the-shelf solutions makes us ill-prepared for “those challenges or problems or complicated situations for which there is not a ready or known fix.” Instead, we must attend to adaptive change. Indeed, technical “solutions” can be used to insulate ourselves from the costly self-reflection and honesty that is necessary for the mission of the church to be taken seriously. 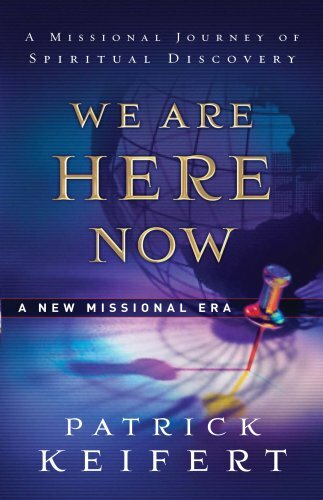 I was astounded, however, by the claim that in 2008-9 “the missiological concept of the missio Dei was only just taking hold at the level of theologically trained clergy” in the English context (page 10). It makes me aware of how ahead of the curve things have been in other less-established contexts around the world. But the fact that it is on the agenda is fruit of the Mission-Shaped Church report from 2004 (which they mention), and seminal works such as Wright’s The Mission of God from 2006. It elevates the importance of works such as these and other significant efforts (Forge Network etc.) around the turn of the millennium. These three forms of engagement coalesce and have their natural conclusions in what it means to live and act as a church community. Clearly it also challenges some of the precious ways we have viewed leadership. The challenge for church leaders can be personal and overwhelming; it’s one thing to talk about missiological concepts in theory, or even to bring some sort of analysis to the church as an institution, but adaptive change cannot be led except by example. It means dealing with the “trap” of modernity that makes the “professional” leader “the primary basis of identity for both the community and the leader” while at the same time recognising that there is a role for “spiritual discernment, spiritual leadership” (page 13). To avoid this trap the leader must take a “personal spiritual journey, sometimes called a rule of life” (page 14) that faces and avoids “our own desire for control and certainty, especially in choppy waters” (page 15). Personally speaking, I have known the pain and frustration that comes from falling into this trap, seeking a vain fleeting peace in control and drive and avoidance, when the call is to trust God even as impotence and anxiety loom. In the end, Room and Keifert present “six missional practices” (page 20). These should not be seen so much as steps in a recipe but practices that found and inform a “diffused innovation.” The hope is that through them cultural change might advance throughout the community while naturally responding to strengths and weaknesses and the very real human aspects that will either welcome or resist it. dwelling in the word – a shared method of Bible that seeks to heed what God is saying in his Word, recognising that the Holy Spirit will speak in Scripture not only to individuals but through the members of the body, one to another. It sounds simple but, when taken seriously, allows a shared experience of being undone and remade by the Spirit of God through the Word of God. dwelling in the world – involves the shared journey of listening and hearing what is happening within and around the community. It allows hard things to be heard, and undiscovered ways to be revealed. It anticipates the activity of the Holy Spirit in the real world who calls us beyond ourselves. hospitality – is engagement beyond the community that comes neither from above or below, but both gives and receives, “taking turns hosting and being a guest” (page 22). It recognises that the best place to encounter both world and word is at the point where relationships open up. It turns us towards those “people of peace”—”friendly looking strangers”— that we often ignore, who are right in front of us, who are possibly not what we had expected or hoped, but who are open to heed and be heeded. announcing the kingdom – recognises that there is a gospel to share, and a Saviour to speak about. It is adaptive, not impositional: Putting words to the recognition of how the Spirit of Christ is already at work, it invites others to join him, and to enter into the kingdom not as some abstraction but in how he is present in the here and now. These six applied practices require further thought on my part to fully understand how they are meant and why they are emphasised over other actions and disciplines. The groundwork on which they are based certainly matches my own experience. By laying this groundwork Rooms and Keifert have helped answer my own questions of “What is going on?” in a mission-adverse church. In the six practices they also attempt to answer the “So what” question: “So what can we do about it?” Given the veracity of their starting point, they certainly cannot be lightly dismissed. Criticial and biblical enquiry would serve to strengthen what should be strengthened, and correct what might be askance. This is something I hope to attend to at some point. My main caution (which is not insurmountable) is this: behind these books is an ecclesial product. Partnership for Missional Church (PMC) is a church consultancy framework through which churches who want to explore these practices can “buy in” facilitation and support over a three-year process. Monetisation like this isn’t necessarily bad; it is akin to 3dm (focussing on discipleship and missional communities) or NCD which takes an inventory based approach to balanced growth. But there is a little discordance when a framework which resists a culture of faddish quickfixes is promulgated as something that literally needs a ™ symbol. Nevertheless, PMC does better than most to transcend the irony; a non-linear messy frustrating journey of discernment is not the stuff of populism. To the extent that it will play its part in the developing trend—changing culture until mission is a natural rhythm—it will do itself out of a job and, in that possibility, it would rightly be seen as a success. 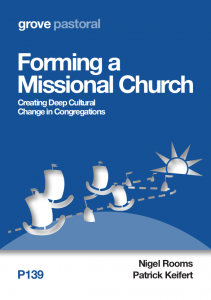 Review: Forming a Missional Church – Creating Deep Cultural Change in Congregations by Will Briggs is licensed under a Creative Commons Attribution-NonCommercial-ShareAlike 4.0 International License.